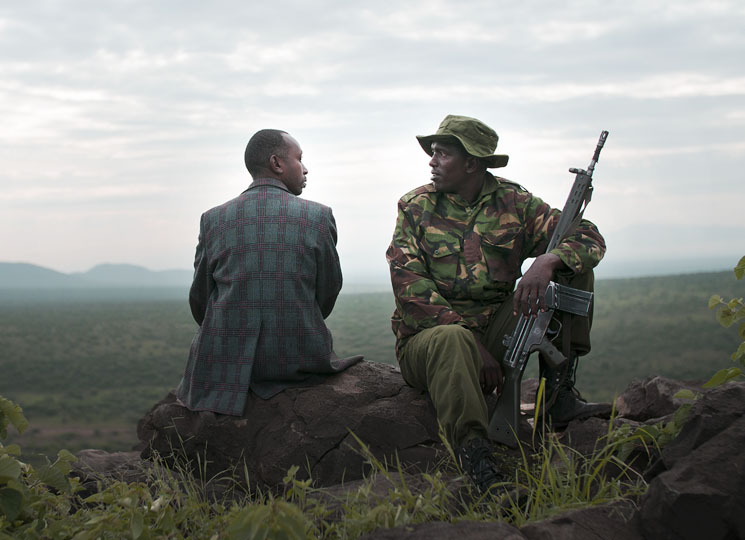 Jon Kasbe's first feature documentary, When Lambs Become Lions, is a stunning, complicated portrait of a Kenyan community entangled in the ivory trade. Following three men with their own connection to the trade, there's the unlikely protagonist, X, who is an ivory dealer. A boss figure, he is less likely to be killed in the bush than Lukas, who does the actual hunting. On the other side of the trade are the government agents hired to protect the animals. Enforcing no-tolerance poaching laws, the agents report that "If someone kills an animal, there is no interrogation. You get a bullet on the spot." One of the government agents, Asan, is X's cousin. Often painted in ethically black and white terms, When Lambs Become Lions uses spectacular images to bear witness to the men and their community. Blurring the lines between the poachers and the defenders of ivory, Kasbe contextualizes how decisions around ivory poaching become wrapped up in questions of financial need, and a willingness to take risks. There is an appealing ease that comes with X's lifestyle, allowing him to buy a bike for his son and provide for his family, while Asan hasn't been paid in two months and his wife is pregnant. Some of the rangers who are now employed to defend the animals have, in the past, or may be willing to in the future, poach the animals themselves, if they were in enough need. With a baby on the way, mounting pressure from an ivory buyer, and the danger of being caught in the field, When Lambs Become Lions balances its ethical considerations with considerable tension. It implicates the viewer in the action and stakes far beyond the average documentary.